I am from Belgrade, Serbia and have married a lovely man from Cape Town, South Africa. We travel extensively and enjoy making our home and the attached apartment available to other travelers whenever possible. We love this property because it feels welcoming. Everyone who comes here comments on the positive vibe or energy of the place. Tony and Biljana were excellent hosts! They were not bothered by our late arrival and responded promptly to any request which we made of them. The place is clean and pleasant with a wonderful garden to enjoy. Kalk Bay is a very short walk away with excellent restaurants. The view from the hill is stunning! We had no complaints! An idyllic place to spend time. I was drawn to Bibi's accommodation immediately. It ticked all the boxes I needed and at an unbelievably reasonable price. From the start the hosts were charming, welcoming and helpful. Everything we needed was provided. The garden, in spite of the severe doubt, was a delight. It's an amazing place to get away from the hustle and bustle of life as one can relax both inside and outside. 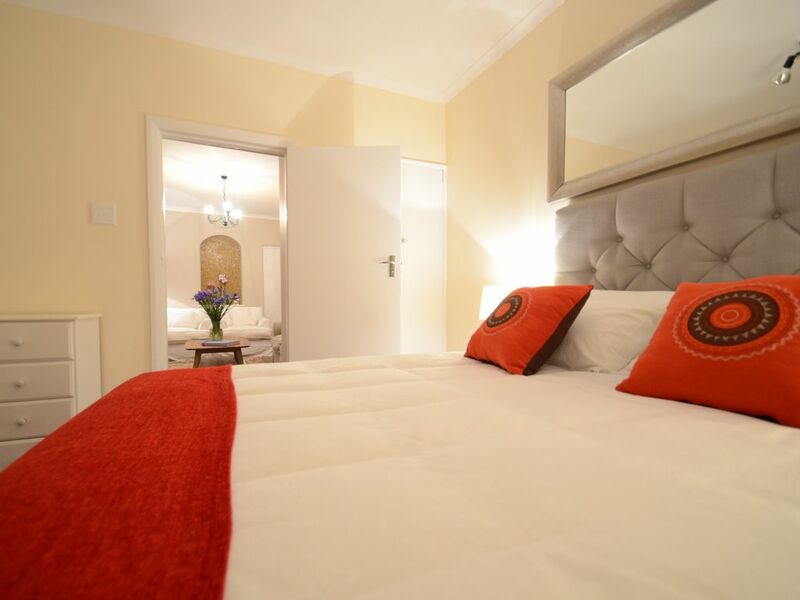 Simonstown, Fish Hoek and Kalk Bay are within easy reach. I would highly recommend this home to anyone, and intend to do so in Scotland on my return. Wow! Photos do not do this lovely garden apartment justice. Two very spacious bedrooms and well-appointed bathrooms and a tidy kitchen with all you need for a holiday at the beach. There is one guest parking space available which we found TRULY invaluable at this bustling (in December/January) beachside town where street parking is nearly impossible (and often treacherous bc of steep inclines). The flat was spotless and the addition of nearly daily maid service and laundry made for an extra luxurious treat. The owners Tony and Bibi could not have been more warm, welcoming and accommodating-from staying up until 1am to let us in on our first night arrival after 32 hours of travel (and ensuring we had all the supplies for fresh tea/coffee in the morning including fresh milk!!) to making excellent restaurant recommendations and being flexible when our travel plans changed a bit last minute. Not to mention their darling Pomeranian that captured my daughter’s heart (not to worry, the flat is pet free-the cute pup lives in the main house). Felt very safe. Within an easy walk downhill to great beaches and to the tiny town of Kalk Bay which features lovely little shops and ice cream and fish and chips. Easy drive into Capetown proper and all the other tourist sites. Really first rate all around and could not recommend more highly. Dear Nikki, it was an absolute pleasure hosting you and your lovely family. Thank you for the lovely review, but it must also be said that you and your family are fantastic guests. Thank you for looking after the place as if it was your own. An excellent appartment, beautiful garden, very good location and welcoming owners. We we're pleasantly surprised by the beautiful location of this property. It was centrally located for our day trips and had a nice quiet, private setting. Our stay was comfortable with all the amenities of home. Hope to visit again! Freundliche und ruhige Unterkunft mit schönem Garten. Gut ausgestattete Ferienwohnung mit Liebe eingerichtet. Toll ist die fußläufige Erreichbarkeit der Kleinstadt St. James mit den vielen gut besuchten Restaurants und Geschäften. Aber auch attraktive Wanderungen direkt von der Unterkunft aus möglich. Andreas, seine Frau und seine Freunde waren ein absolutes Vergnügen. Wir würden sie jedem empfehlen.